In the last year recap I mentioned that in 2014 I wanted to give it a try to the processes’ approach at the time of setting goals. Trying to introduce new habits, settle others, etc. I started very focused: waking up earlier, studying Dutch first thing in the morning, arriving at the office earlier, training at lunch time, getting back home earlier, playing with Andrea, spend some family time, read and study at late evening/night. Some of the habits have stayed, some others not, and I have taken new ones along the year… let’s review the year. Luca passed the exams to become a lawyer in France, found a job in a law firm and finally sworn before the court as a lawyer. We moved houses, though still living in Toulouse (from the flat in Saint-Cyprien to a house in Sept Deniers). Avgeek. The stage we had in Paris for Luca’s exams allowed me to visit the Musée de l’Air et de l’Espace (Le Bourget) and to get to know the airfield of Issy-Les-Moulineaux. Our escapades to the Pyrenees made us discover Musée de l’Aéronautique of Luchon. The more recent trip to the USA allowed us to visit the Dayton, where the Wright Brothers originated and the National Museum of the US Air Force, for which I still have to write about, but you can see my brother’s post on the museum. We also had the chance to visit the Francazal air show. The moving to the new house gave me the opportunity to find a well deserved location for the model collection. Flying. 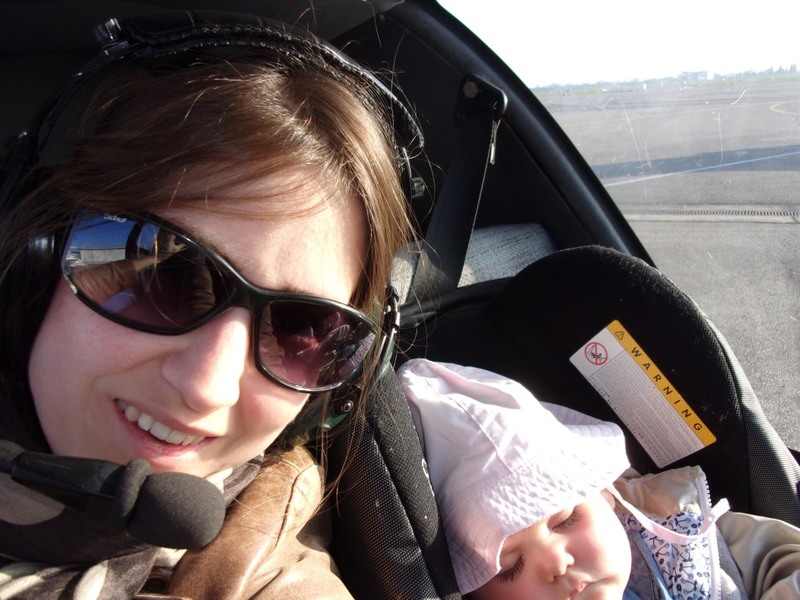 Apart of the mentioned first flight with Andrea on board, in this 2014 I managed to complete some 17 flights totalling almost 15 flight hours, 30 take-offs and landings and including 5 solo flights (one of them a navigation flight). 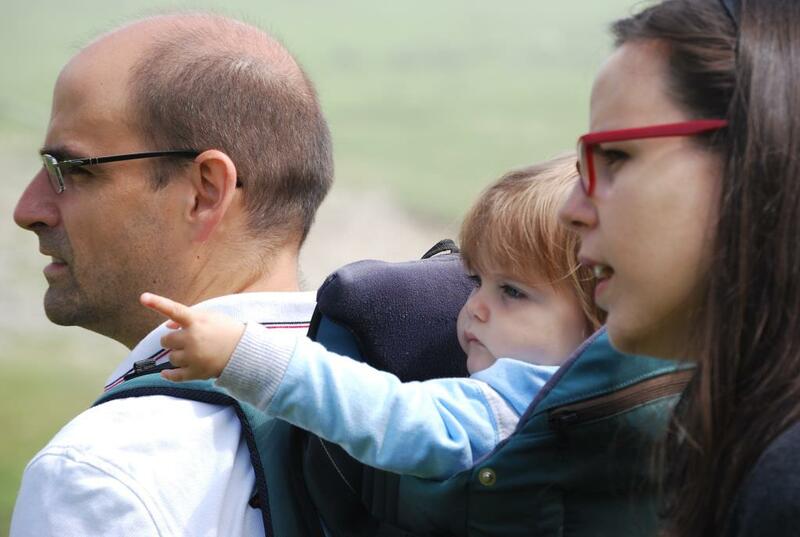 Not only Andrea had her baptism regarding flying with me at the controls in 2014, but Juan, Maicol, my mother, my sister Beatriz and brother Jaime had theirs too! Despite some exercise-related incidents (including a runway excursion, through during a solo flight), I am sure they enjoyed it and the experience made it to their 2014 memories. Since the progress was good, just before the summer my instructor mentioned the taking of the exam! But first I had to pass the theoretical part, which I had postponed so far. I did a first attempt in November in which I cleared half of it, next attempt in a couple of months. Then, some more flight lessons (not having flown since September), flight hours and start thinking on the practical exam! Learning. The balance between family, hobbies and work is always tricky. This year I started strong studying Dutch which I dropped after 3 months, and in the second half of the year I had to put hours to the study of the PPL theoretical part (in French), with partial success. 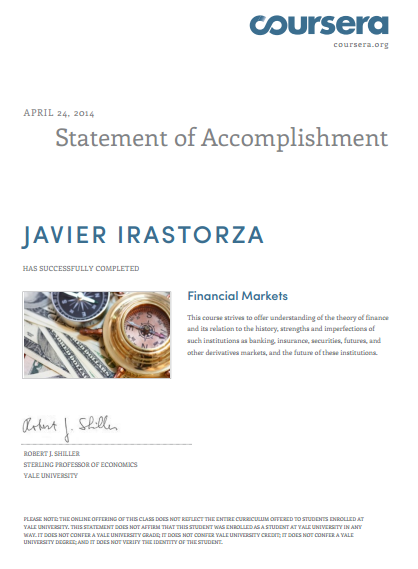 In between, I completed some other online courses (MOOCs): The Age of Sustainable Development (Columbia), An Introduction to Operations Management (Wharton) and Financial Markets (Yale). In parallel, I completed some other very interesting in-company trainings on Airline Engineering and Maintenance, Management of Conflicts and Time Management. Reading. This year again I didn’t set any objectives in terms of number of books, but I only prepared a shelf with a selection of about 20 books that I wanted to prioritize. In the end I read the following 10 books (about half of them from the selected shelf): Hot, Flat, and Crowded, The Roaring Nineties, El amor en los tiempos del cólera, The Early History of the Airplane, Seeking Wisdom: From Darwin to Munger, What management is, Sycamore Row, The Racketeer, Micro, Crime and Punishment (in Spanish). You can find here a brief review of each of them and references to longer reviews I made about them in the blog. Family 2.0. Despite of the family life and different changes, I managed to write just a bit over 80 posts. Plus the blog received over 80,000 visits in 2014 (a 60% increase in relation to 2013) and is very close to surpassing the 200,000 since I started it in 2010. Travelling. This year we visited Paris for a week (first time in Versailles and in the château de Chambord for me), made 3 escapades the Pyrenees (with Luca and Andrea alone, with my family and with friends), visited again the United States (NY and some new places for us: Boston, Gettysburg, Dayton, Pittsburgh, Philadelphia – with over 2,100 miles driven and 8 different hotels in less than 2 weeks!) in a very entertaining trip with lots of learning opportunities and experiences, the Dordogne, spent a half resting half discovery week in Mauritius, flew to the Netherlands (3 times, a week each time), five days in Sicily (Siracusa, Milazzo, Taormina; incredibly beautiful places) and these last days of the year in Madrid. 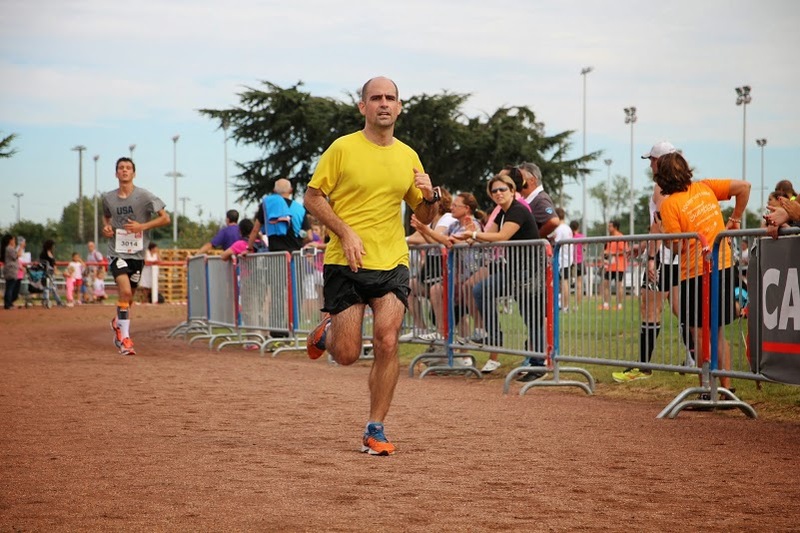 Sports – Running. This year, due to the young age of Andrea, we did not manage to go skiing. We neither played some golf as we wished we had to, nor gave it a try with soccer. What I did was basically, guess… running. In 2014 I ran well over 1,900 kilometres, which was a goal I set to myself at half way through the year (when I had completed just over 800). As I wanted to reduce the weekends’ agenda, I competed less and just took part in 9 races (3) (versus 16 in 2013) including: 2 marathons (Rotterdam and New York, both under my previous personal best time! ), 2 half marathons (Blagnac and Toulouse, no personal best here though), 3 10k‘s (all of them under 45’, with two consecutive personal bests!) and a couple of trails: Cassoulet and Foies Gras. As you read, in 2014 I achieved personal bests in marathon and 10k thanks to the different training plans I combined (more variety), which was great. I did not so in half marathon, I think in 2015 I’ll try to improve the 3 marks. Following the sentence “the running shoes, always in the suitcase”, the year 2014 caught me running in: Wijchen (9 times), The Hague, Rijswijk, Sevilla, Rotterdam, Paris (x6), New York (x2), Milazzo (x3), Montauban, Mauritius (x5), Madrid (x16), Dayton, Colomiers, Benasque, Barakaldo, Allentown, Verfeil, Mauvezin… plus the tens of times I trained in Toulouse and Blagnac. This year, apart from the races, I managed to train plenty of long runs: 11 over 20km, including 6 over 25km and 2 over 30km; and did plenty of series’ sessions (too many to mention). That contributed a lot to the improvement of my times. My family: My sister moved to Odense (Denmark) to study a master in International Security & Law (you can follow her in her blog), and once the classes were completed moved to Vilnius (Lithuania) to make a stage at the NATO Energy Security Centre of Excellence. We had the pleasure to have my mother over for a month in July-August. We enjoyed 2 weeks of holidays with Jaime in the States, apart enjoying several runs with him. My father is ever more engaged with NGOs teaching classes to disfavoured people in Madrid. 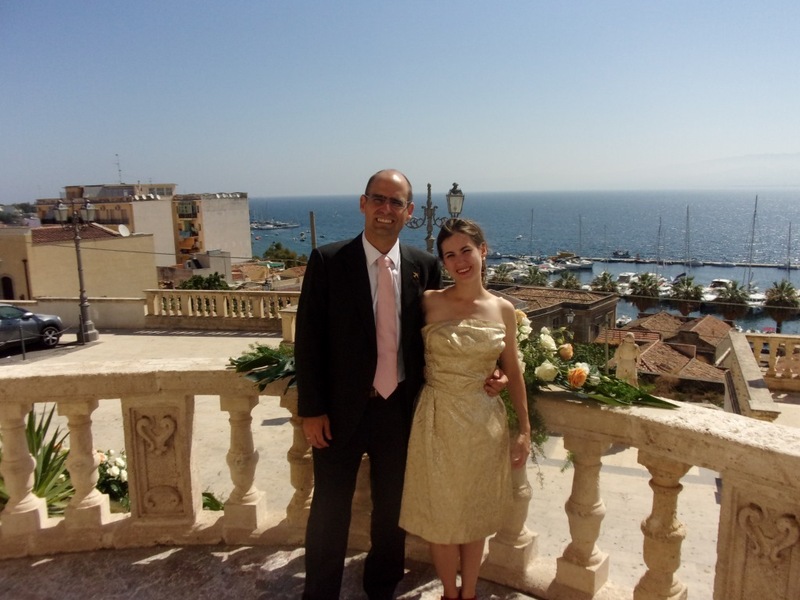 Some more friends got married: Alessandro, Erik, Simone. Now it’s time to rest, celebrate and soon to plan how we want the 2015 to turn out. It will again be a year full of personal and professional changes, with plenty of learning opportunities, kilometres to run, marathons to enjoy, airplanes to fly and flights to catch, museums to see, books to read, trips to make and parties to enjoy. For now, I will close 2014 celebrating my sister’s birthday, running the San Silvestre Vallecana in Madrid with several friends and enjoying a last dinner with the family. I wish you the best for 2015, enjoy it! (1) You can see my 2010, 2011, 2012 and 2013 recaps. (3) That figure excludes the San Silvestre Vallecana that I will run the afternoon after this post is published. (2) Why don’t you open her a TripIt account, so that at least you have all the date stored and whenever you have the time or the will you can process it? the problem wasn’t in the recording of the flights, but on retrieving immatriculation letters from the actual airplanes she flew on (if I hadn’t been able to check it or forgot it, or wasn’t there).